The Real Reason Why Moats Matter - Valuentum Securities Inc.
Valuentum: We’re here today with President of Equity Research Brian Nelson to talk about the concept of an economic moat. Brian, we were talking a bit off camera about why you think the concept of an economic moat is one of the most misunderstood topics in finance. Can you elaborate? Nelson: Sure, of course. Thanks for having me. Well, an economic moat was first coined by the Oracle of Omaha, Warren Buffett, to describe significant and sustainable competitive advantages. Now, if you ask any company, they’re going to tell you that they have an economic moat of some sort, whether it’s some low-cost position or intangible asset or an impenetrable network effect. It’s good PR. Investors today are at a disadvantage of misinformation given just how widespread the term moat or competitive advantage has become. It’s thrown around very liberally across research firms and even at the frameworks of buy-side shops across the globe, fairly or unfairly. It’s become a commodity. The problem is that there is no standard definition of an economic moat and no one has a monopoly on the opinion of what comprises a true competitive advantage. So, to us, the concept is very opaque, undefined, and doesn’t tell us much about the true, intrinsic worth of a company. Valuentum: Fascinating. So, do you think Buffett is wrong about liking companies with moats? Nelson: Absolutely not. Buffett likes companies with sustainable competitive advantages, in his view, but he also likes companies that generate significant returns on invested capital, have excellent management teams, and possess solid capital-allocation plans. But most importantly, Buffett likes to scoop up companies at a bargain, using the concept of a margin of safety. And the area of valuation and using a margin of safety is far more important than a very subjective moat assessment. Valuentum: And why do you think that? Nelson: Well, the reality is that any asset – whether it’s a company, a stock of the company, a rental house, a rental car, or even a bed and breakfast – is worth the present value of its future free cash flows. I think where investors get confused is that they believe the moat concept influences these future free cash flows in such a way that the passing of time makes a moaty company more valuable than a non-moaty company. This is just not true. The reality of the situation is that all assets are going to increase on an annual basis by their respective discount rate less their dividend yield (assuming the forecasts are accurate). Every asset. It doesn’t matter if this asset has a significant competitive advantage or not. This is just the law of finance. Valuentum: So are you saying that moats don’t matter? Nelson: Well, let’s try this. If an investor values a no-moat company and a wide-moat company, the present value of those cash flows have already been defined – the investor has already captured the future free cash flows of the business that would result either from a firm’s no-moat operations or from its moaty operations. A subjective assessment of its competitive advantages doesn’t influence that cash-flow stream. 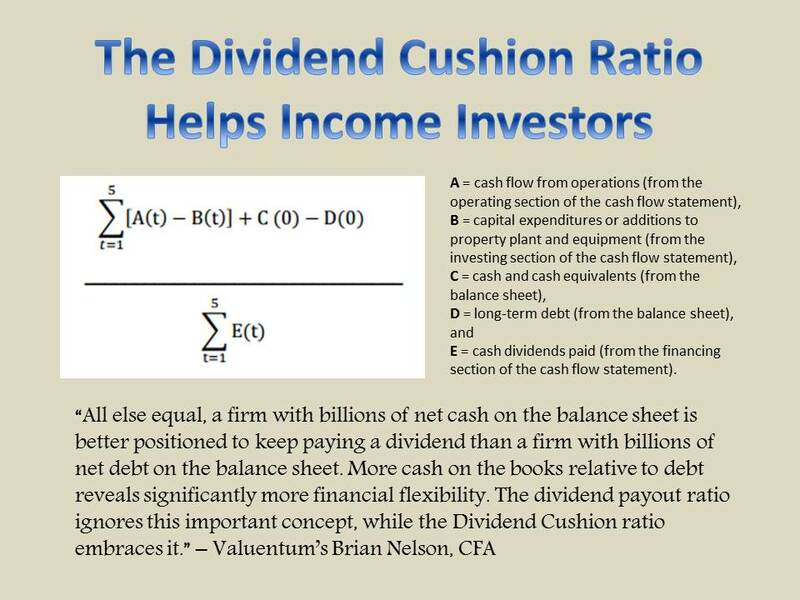 A firm is going to generate that cash-flow stream whether it has a moat or not and a firm’s value is going to increase by its discount rate less the dividend yield on an annual basis whether it has a competitive advantage or it doesn’t. A moaty company may be able to compound cash flows better in the future than a no-moat company can (or generate significantly more cash flow than a no-moat company does) – but this aspect has already been captured in the moaty firm’s fair value estimate (in the future free cash flows). Its value will still increase – no more or no less – each year by the discount rate less than dividend yield, assuming the forecasts are correct. Valuentum: Interesting. Would this lend investors to believe that firms with no moats outperform firms with wide moats since they have higher discount rates because of their higher-risk profiles? Nelson: Yes, at times. And empirical evidence has shown over recent time periods that companies with no-moats have outperformed firms with wide moats. For example, undervalued no-moat firms have performed as well as undervalued wide-moat firms over the 10-year period ending 2012, while no-moat firms that weren’t undervalued exceeded the performance of wide-moat stocks in the remaining three of the four valuation buckets that were studied. (Source: Miller, 1/1/2013, Morningstar). The performance of small-cap stocks that are much more likely to have no moats and speculative no-moat biotechs through the course of 2013 and into 2014 suggests that no-moat outperformance has continued since the end of the study. Valuentum: Why not just buy a basket of risky, no-moat stocks then? Nelson: Well, that’s a fascinating question. The American Association of Individual Investors runs a Model Shadow Stock Portfolio that is focused on relatively small companies, firms with market capitalizations less than $300 million. Most firms in this category haven’t yet developed what I would describe to be a sustainable competitive advantage, or any sort of moat, so I’d assess the portfolio as largely a no-moat portfolio. Yet, the cumulative return of this strategy has been remarkable. The Model Shadow Stock Portfolio has advanced at a 3-year annual return north of nearly 30% relative to only 15% for the S&P 500 index. (Source: AAII Journal, Volume XXXVI, No. 4, page 33). The Morningstar Wide Moat Focus index has advanced at an 18% annual return over the same time period (Source: Wide Moat ETF), about in-line with mid-teens performance of the S&P 500 index. This relative outperformance of no-moat stocks is driven more by the context of valuation as opposed to any competitive-advantage assessment. Higher risk stocks, by definition, will advance at a higher annual pace than lower-risk stocks over time, all else equal (they have higher discount rates in a discounted cash-flow process to reflect their heightened risk profile – think risk premium). But there’s also another dynamic at play here. As markets remain benign, riskier stocks are re-priced higher using lower discount rates (credit availability is improved). The longer duration cash-flow profile of higher-risk, no-moat companies is then magnified when the cost of borrowing is reduced. This makes no-moat firms very volatile through the credit cycle, but it also is responsible for their significant outperformance during good times. Moaty stocks are less impacted by credit availability, and therefore, their discount rate and intrinsic value does not experience much volatility. Valuentum: Do you think investors are placing too much emphasis on a company’s moat then? Nelson: I believe so. I think it comes down to what investors are willing to pay for something already factored into share prices (valuation). A dollar from a no-moat firm is worth a dollar from a moaty firm. A dollar from a no-moat firm 10 years from now is worth less than a dollar from a moaty firm 10 years from now due to the higher discount rate, but this is already captured in the valuation process today. The long run, or the time horizon that a moat considers, is already captured in the value of the company today. I think this is what investors aren’t getting. Valuentum: So, that’s interesting. You said moats are fully captured in a firm’s valuation? Nelson: Yes. 100%. The moat or competitive advantage is factored into the future free cash flows -- and the discounted future free cash flows roll up into the underlying valuation. And the underlying value of a stock advances at the discount rate less the dividend yield (assuming the forecasts are accurate) in each case for all firms with a moat or not. The moat is factored in. 100%. Valuentum: So then why do we pay attention to the concept of a moat at all? Nelson: We think it comes down to assessing the risk tolerance of the investor. Most investors cannot sleep at night if their portfolio experiences wild swings, and moaty stocks, by definition, should be less volatile through the course of the credit cycle than no-moat stocks. Investors accept lower volatility for lower returns over certain market cycles. As empirical research has concluded over recent history, wide moat stocks tend to underperform no-moat stocks across almost every valuation bucket. Investors should expect stocks to advance at their discount rate in a discounted cash-flow model less the dividend yield over the long term. This percentage is higher for no-moat stocks (most don’t pay dividends) than it is for wide moat stocks, and both empirical and academic research supports this view. Investors should probably expect a long-term annual return of about 5%-8% for moaty stocks and about 8%-10% for no-moat stocks. 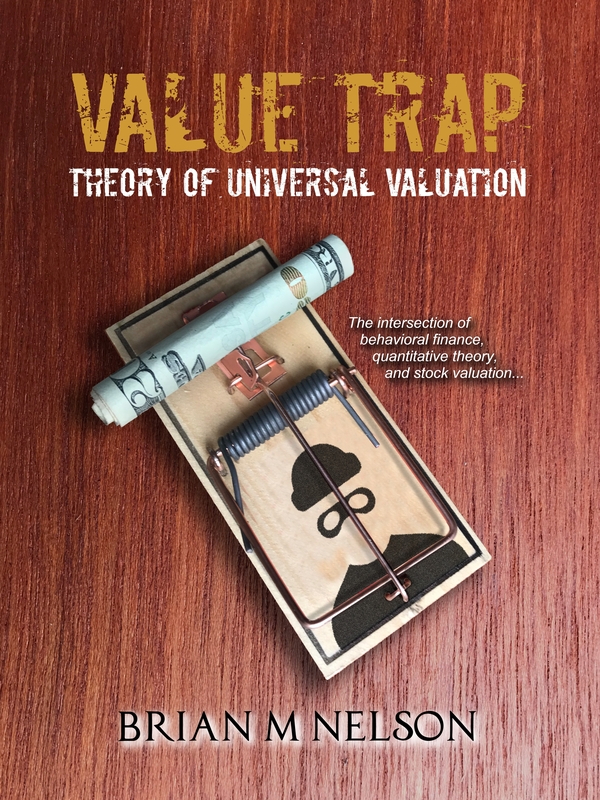 Valuentum: So why not buy stocks with the worst fundamental qualities if they are set to do better? Nelson: Well, that’d be a foolish move. We can’t forget about individual bankruptcy risk and the potential evaporation of equity in higher-risk small and micro caps that may occur under tightening credit cycles. That said, investors may do well with a basket of no-moat stocks over the long run, but without broad diversification across firm-specific risk, an individual investor can be harmed should any particular no-moat equity fail – that is, if a firm declares bankruptcy. A concentrated portfolio of fundamentally poor companies is simply a bad idea, in my view. For us at Valuentum, our Best Ideas portfolio seeks to attain low levels of volatility while capturing significant outsize returns – the best of both worlds. The Valuentum strategy generates significantly more return for the level of risk taken. Valuentum: Mr. Nelson. Thank you so much for your insight. Nelson: Thank you for having me.